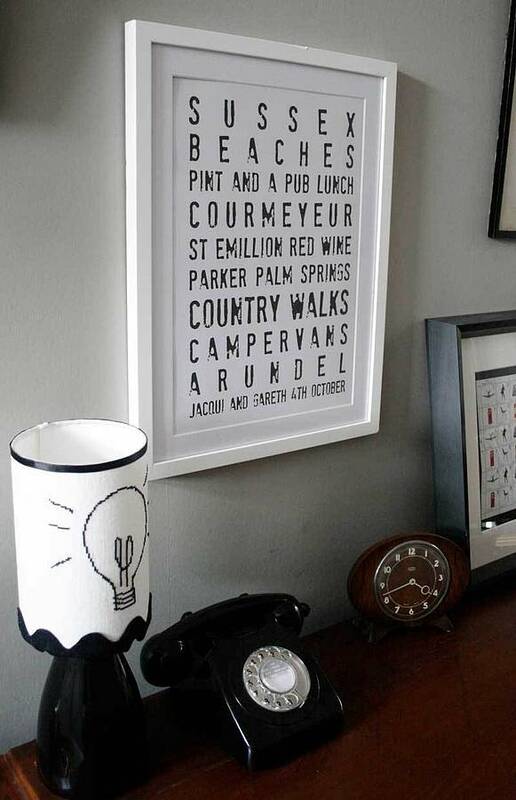 Pearl and Earl designer Jacqui Pearce has been creating bespoke prints for people since 2003 and her Award Winning destination style personalised art since 2009. Choose a quote, phrase or words that mean something to you, and we will type set them, send you a JPEG for approval, and then print your bespoke art. 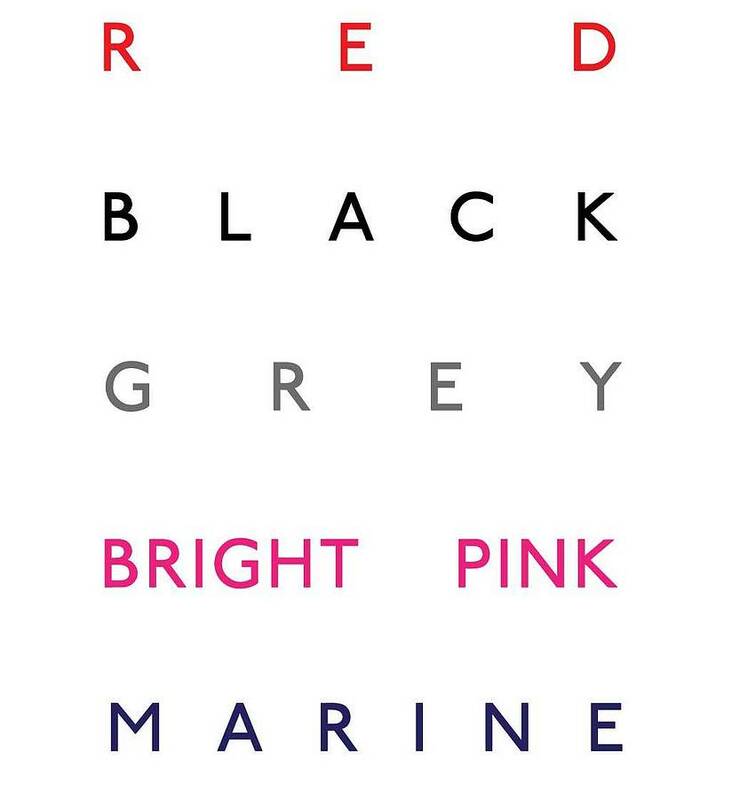 Choose from 5 different colour backgrounds. 3 Choose STANDARD PRINT ONLY, STANDARD FRAMED or SUPERSIZE! We will send an approval copy to you in low res JPG form.Please note that the fewer words per line - the larger the font will be an vice versa. If the words are too long we may have to split over 2 lines to accomodate them.Words and Style Strictly Copyrighted - J Pearce 2009. Bespoke prints are 5-7 days with framing an additional 10-14 days on top. Prints are sent wrapped in art cello and then rolled and placed in a coloured premium gift tube. These are placed in a plastic mailer bag for shipping. Framed items are sent via courier and someone must be there to sign for the items, otherwise you may have to pay for reshipping costs. Archival 350gm Matt Paper - A specially coated art card, which produces the best finish with the inks. We generally use matt card depending on the "ping" of colour intensity which we require. Archival papers do not yellow with age. Giclée' printed in house to fine art standards. Machines need at least an 8 colour mix to achieve this and we do NOT use simple desktop printers. Frame - 22mm smooth silk finish painted solid wood, cut, glued and fixed to order. Glazed with top grade acrylic - which has 99% clarity, without the health and safety and breakage problems of glass. It actually costs us more! They are pre strapped ready to hang. Mount - The white core black and snow white thick mounts are cut by hand to fit each piece. With approx 35mm round each edge. Framing is completed by our local framer who is second to none. He frames for designers like Paul Smith and top London Galleries. Framing can take up to 10 days due to the artisan work involved. NOTE: The framing costs may seem high - but to our mind you get what you pay for! His framing is excellent. 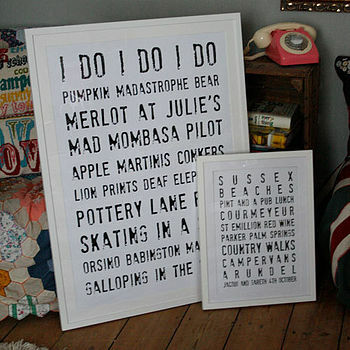 You will find cheaper and we are of course happy for you to organise your own framing. Our framing costs include the additional shipping charges involved. This product is dispatched to you by Pearl and Earl.